For someone who’s on a perpetual quest for good burgers, I naturally made stomach space for at least one burger in Singapore. Ramly and Otai burger is best sampled in Malaysia for obvious reasons, but when it comes to gourmet-like burgers, our neighbour seems to do it slightly better. 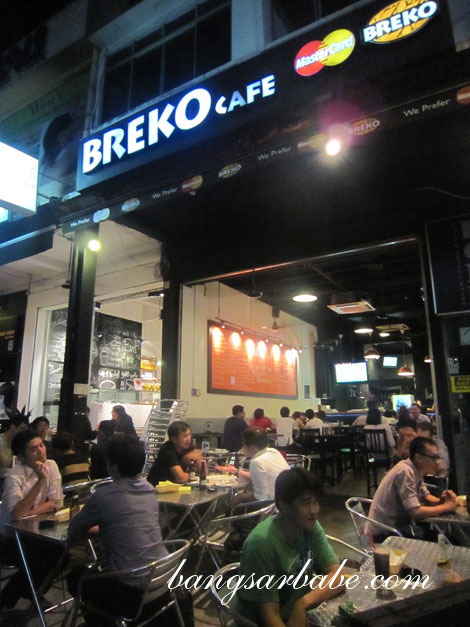 Breko Café at Holland Village is constantly crowded, even on a weeknight and I was told that the burgers are pretty good. 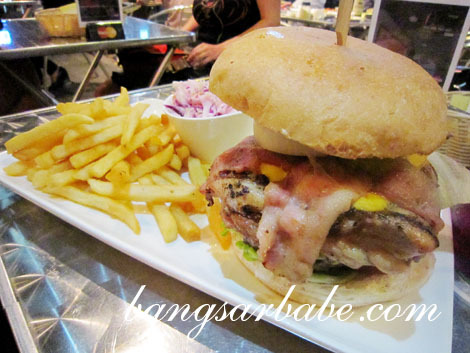 When it comes to burgers, I love the supersized versions so the Godzilla Burger (SGD16.50) was a perfect fit. 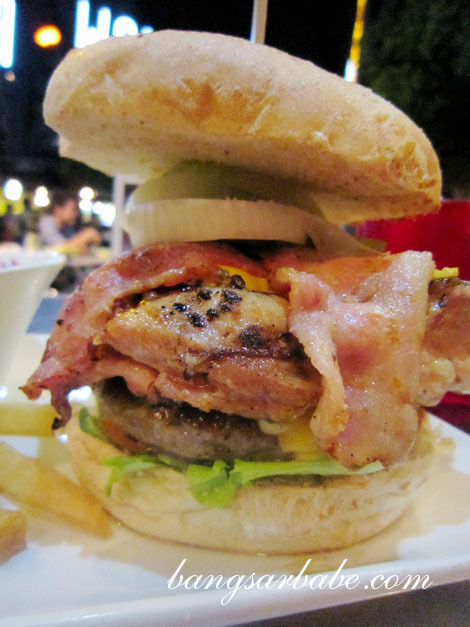 It was the best of two worlds – tender chicken thigh and juicy beef patty with bacon, cheese and onions between a wholemeal bun. Can your mouth open this wide? The chicken thigh – nicely grilled – boasted crisp edges and a succulent centre, while the beef patty was thick, juicy and flavourful from the seasoning. It was massive and almost impossible to bite into everything in one go without making a mess. The meats were delicious and accented by the fatty bacon and cheese. Very filling and hearty, but not something to order if you’re attempting the art of seduction on your date. 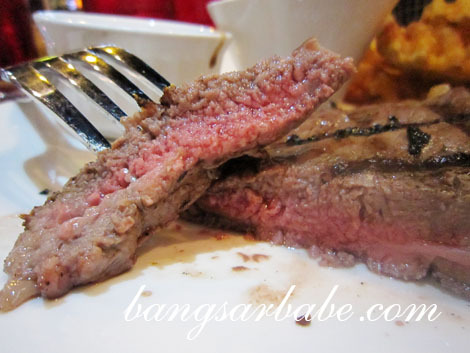 For SGD16.90, the NZ Prime Ribeye is good value for money. This was a 200gm portion with two side dishes of your choice – I had the bacon & onion mash and tic tac toe. The latter was crisply fried and moreish, while the mash was richly flavoured with a good aroma from the onion. I found the ribeye pretty decent. This was a beautiful medium rare and was tender all over. 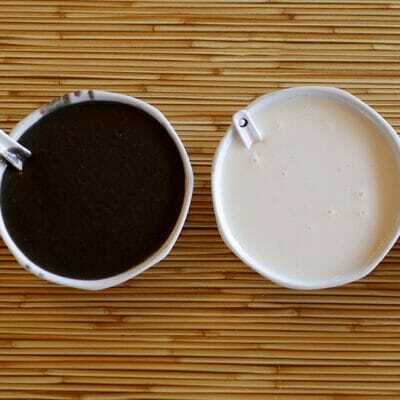 The accompanying black pepper sauce was mild and complemented the steak well. One of Breko’s best selling sandwhich is the Turkey Cheese Avocado on Foccacia (SGD7.90), which Jeen ordered. This came with smoked turkey ham, cheese, avocado, cranberry sauce and a generous handful of pinenuts. I didn’t try this, but she said it looked promising. On a whole, I found the food at Breko’s pretty decent. Service was all over the place that night but the burger and steak warrant a revisit. Verdict: Try the Godzilla burger, but don’t say I didn’t warn you about the massiveness. The turkey cheese and avocado looks like something my sister normally makes at home. The Godzilla burger looks appropriately named! 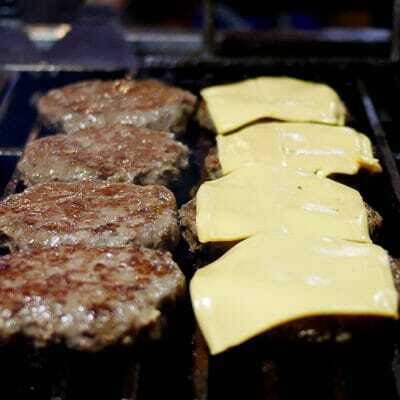 D burgers really looks delicious…..
Haha u also like m’sian street burgers…. The potato salad and the beers ($10 for any two bottles of imported or Tiger beer) also go down well!